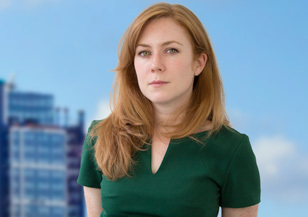 Based in London, Lauren Gearing is a consultant in Spencer Stuart’s Consumer, Retail and Private Equity practices. She works across all functions, with particular expertise in commercial, operations and supply chain roles. Lauren also focuses on the B2B, multi-site and sports sectors. Lauren conducts senior executive searches in the fast-moving consumer goods, retail, hospitality and leisure, and business services sectors. She works with public and privately held businesses across Europe to help them find build leadership teams that will have a lasting impact. Prior to joining Spencer Stuart, Lauren worked across all functional roles at a leading UK executive search boutique, where she helped private equity firms to build senior management teams for their portfolio companies. Before her career in search, Lauren worked in politics as a senior researcher for a Member of Parliament. Lauren graduated from Oriel College, Oxford with an MA in politics, philosophy and economics.